We were engaged to help Lloyds Banking Group with an internal communications campaign to inform and engage their staff teams with the process of shifting from traditional office layouts to a new, flexible, multifunctional workplace design. Architects Scott Brownrigg were commissioned to redesign 5 office buildings for Lloyds Banking Group to reduce the overall footprint without compromising staff numbers. They employed their Design Strategy Unit to analyse the functional and emotional requirements of the workforce and match those needs with a range of worksettings and features within a flexible and agile workplace redesign. Our role within the project comprised two parts. 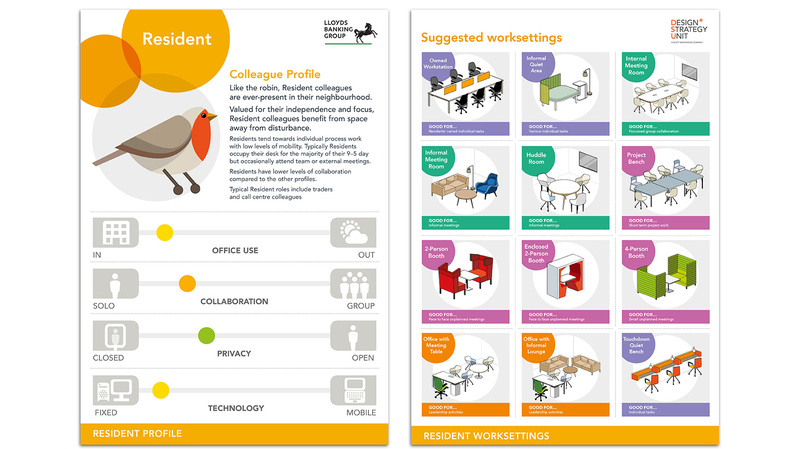 Firstly we designed a range of bespoke icons and symbols for the Workstyle profiler app developed by Scott Brownrigg, and an infographic-based approach to documenting and presenting the resulting data. 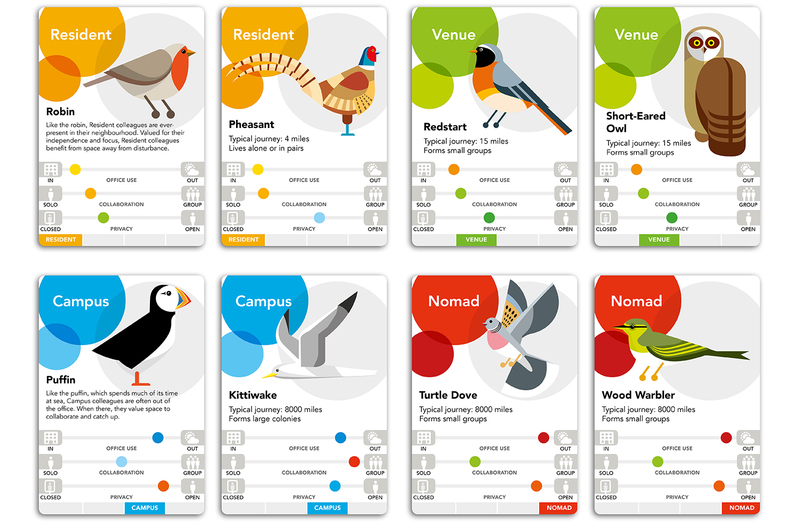 We then created a card game to help engage the staff team with their new workplace design, aligning specific worker profiles with types of birds based on matching bird migration and flocking behaviours with team members’ individual mobility within their workplace and the degree of collaboration that they have in a typical day. 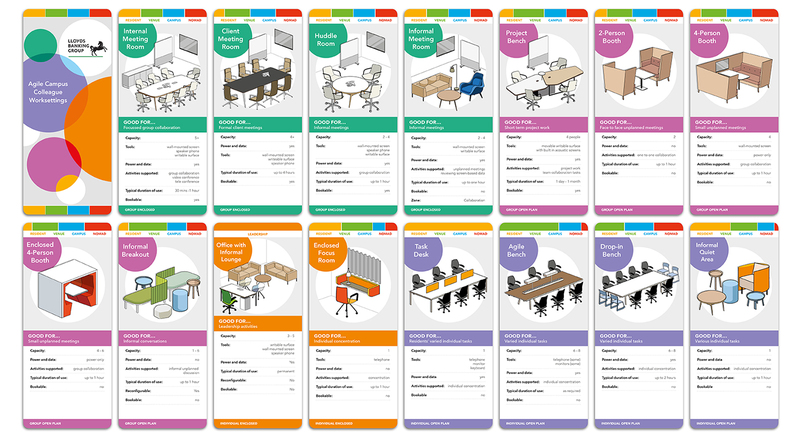 The second part of the game involved the design of information cards relating to the worksettings and furniture options used in the workspaces, with colour codings to relate the worker/bird profiles with specific worksettings suitable for their preferences and requirements.